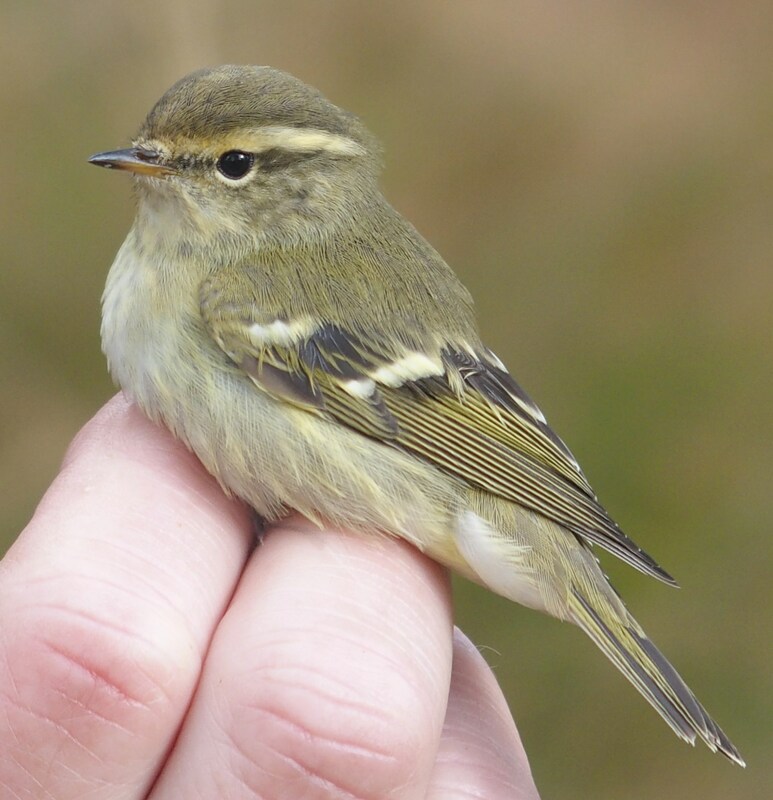 221 new birds were ringed in November with most activity at Chobham Common. 70% (154) were Lesser Redpoll but the balance did include some nice species – the first Common Redpoll for over three years, Stonechat, Meadow Pipit, 3 Dartfords and 7 Redwing at Chobham, a Firecrest at Bedfont, a Cetti’s Warbler and 4 Chiffchaff at Stanwellmoor and 2 Lesser Redpoll at Tythebarns. 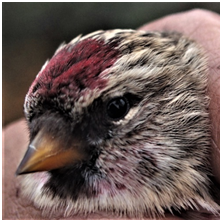 More recoveries details of redpolls at Chobham were received and there was a very rapid return for a Chiffchaff from Wraysbury – close to the south coast just 21 hours after ringing. 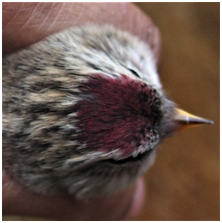 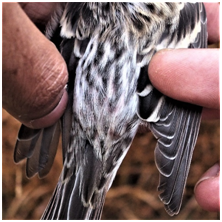 Common Redpoll are noticeably larger than Lessers and with a proportion of white that looks like its been "washed" into their plumage.